In most of the Eastern United States - and certainly here in New York City - Spring is a welcome transition from the cold, bitterly gray days of winter. Gorgeous color in our own Central Park! My favorite first signs of Spring are the little sprouts of crocus and daffodils. It always feels like these hardly perennials are blooming a bit too early, and the shock of purple and yellow is a pleasant surprise. However, now that we are officially into Spring (Spring equinox ended on March 21st) we are also easing into tulip season! Tulips have a long and fascinating history. From the famed “tulip fever” in the Netherlands to more modern day appreciation for these flowers, they have long held an important place in the flower world. 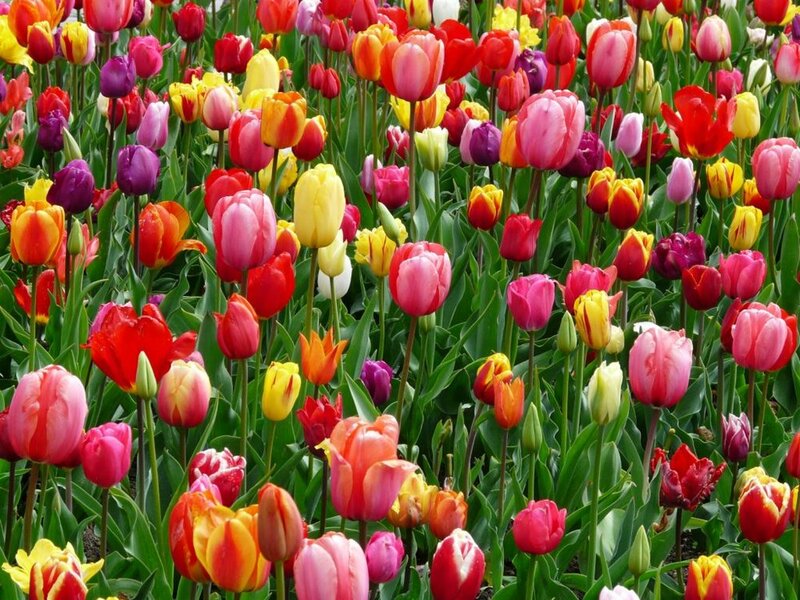 Tulips were originally cultivated in the Ottoman Empire before being imported to Holland in the early 16th century. 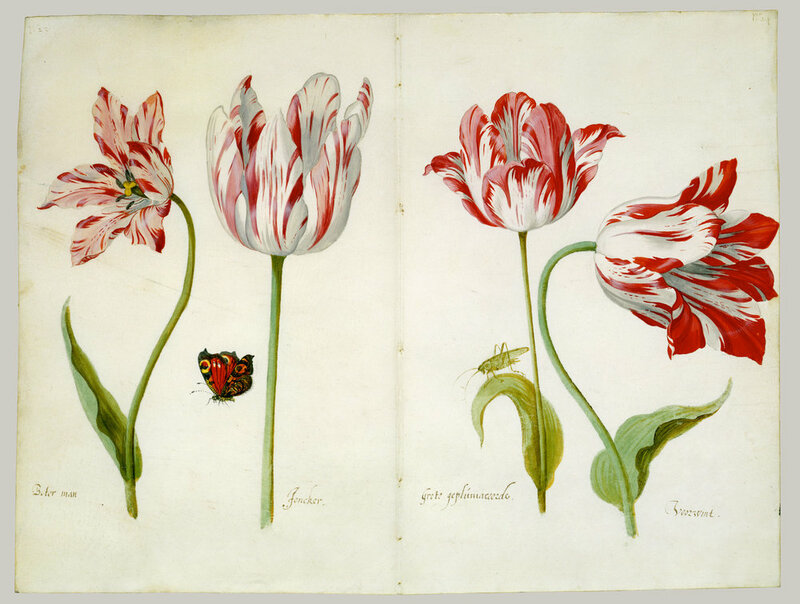 The first major book was written about tulips in 1592 by Carolus Clausius and the obsession had begun. Many Dutch and European painters during the 16th and 17th century created beautiful still life paintings featuring this exotic and varied flower. As the paintings started to circulate in noble society, the first economic bubble (tulipomania) was started, with tulip prices far outpacing their value. Tulips were actually used in place of currency in Holland for a number of years before the tulip market collapsed, almost overnight. 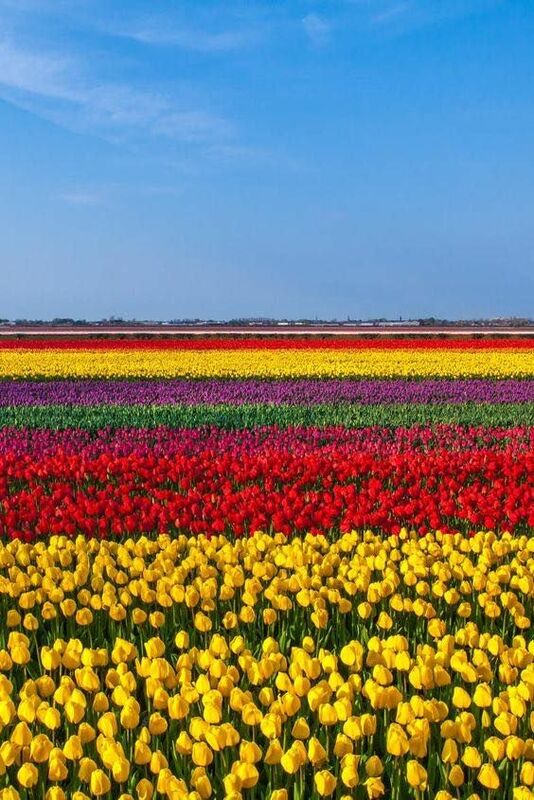 Holland still has a familiar relationship with their signature flower, and anyone as anyone who has been to Holland can tell you, the tulip fields there are absolutely mind blowing. 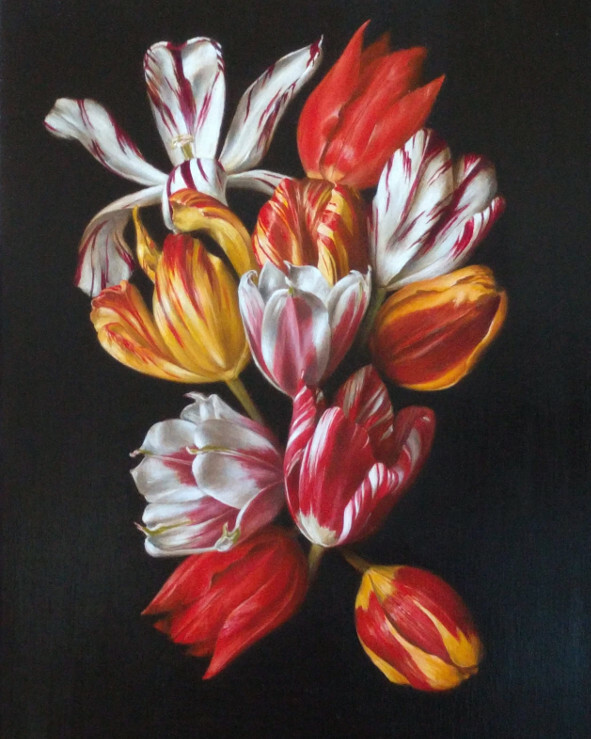 The Tulip is a symbol of national pride for the Dutch with Holland affectionately being referred to as “The Flower Shop to the World.” Can you imagine what it must be like to live among these fields in the Spring? 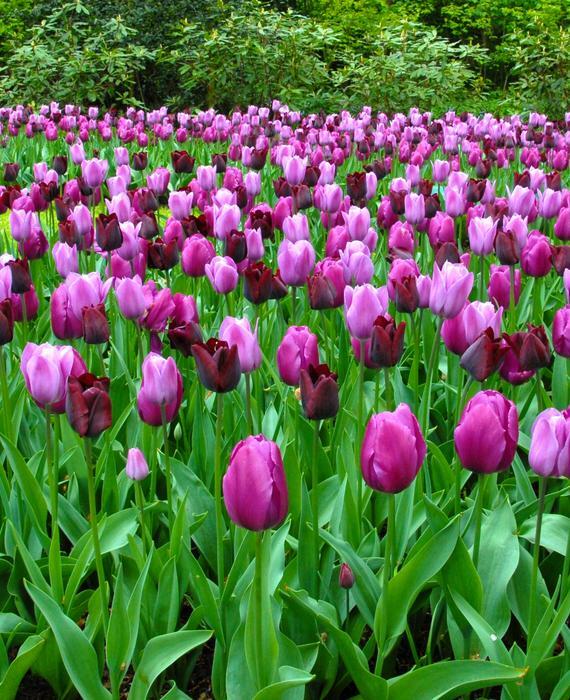 The individual variety and coloration of each tulip is carefully cultivated by cross breeding different tulips. 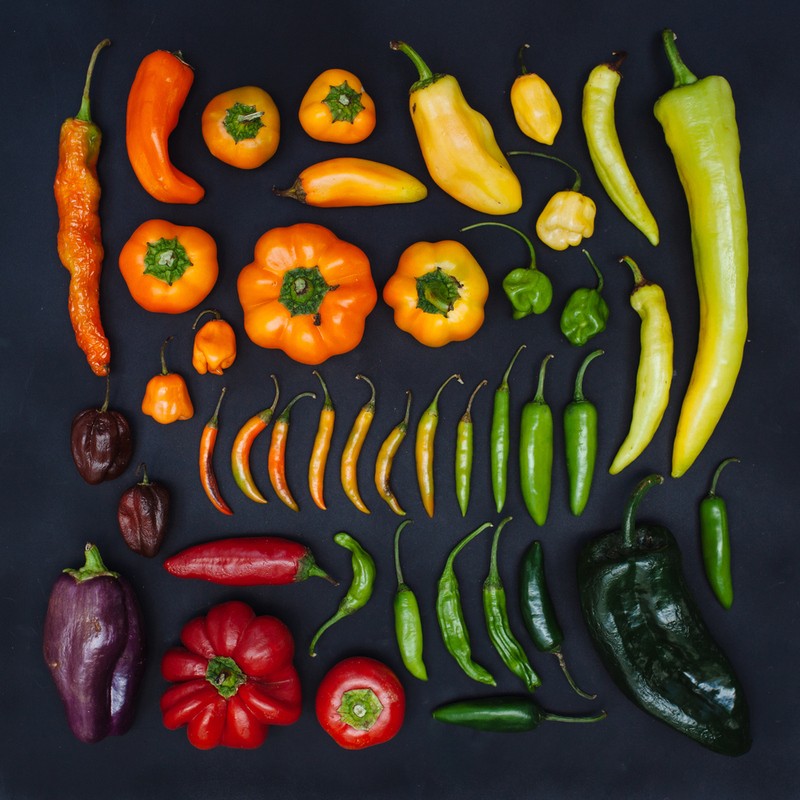 Most farmers have been working on these variations for generations! Lucky for us, even In our beloved New York City bodegas, we are able to get a glimpse of these amazing natural beauties! Until I am able to go to Holland for tulip season, I think that’s good enough! So nervous and excited to be telling my story on The Moth Mainstage tonight in San Antonio! If you don’t listen to The Moth, you absolutely should! Link here to their podcast! I have been a fan of Rebecca Moses for a very long time. Working across multiple mediums, her signature style and whimsical sensibility is a constant. Rebecca Moses started her career in the fashion industry, graduating from the Fashion Institute of Technology, and working in New York City for Pierre Cardin for a time. Moses launched her own label in New York, before relocating to Europe working for a few luxury brands while abroad. Upon returning to New York City, she relaunched her own signature line of cashmere, focusing on European sensibility for the American market. Soon Moses began to expand her creative practice beyond the borders of fashion. Pivoting to illustration very much informed by the skills she honed while working in the industry, she started to discover her unique style that she has maintained over various mediums throughout her career. Named “Perfectly Imperfect” the show was a leap for Moses from her two-dimensional drawings to the three-dimensional forms. Aiming to represent today’s multicultural world, the show depicts highly stylized women of different shapes, sizes and backgrounds. However, each mannequin, illustration and garment is unified by Moses’ approach, design sensibility and color palette. I was lucky enough to have my book launch party for Ode to Color in Pucci’s showroom while those amazing mannequins were on display! Ralph Pucci and Moses worked together to bring these genius mannequins to life, to see more of Ralph Pucci’s work, link here. Beyond being incredibly gracious, I am always in awe of his creativity! Moses’ most recent show “White Shirts” is currently on display at Ralph Pucci’s Gallery No 9 in New York City. The portraits represent a departure from Moses’ typical colorful, bright color palette. Instead focusing on her figures and line quality of the paintings. Each portrait is of a women in Moses’ life who has acted as a muse to her over her lifetime. Dressed simply, in a white shirt, the personalities and decoration of each women is individually highlighted. And although the clothing is not the centerpiece of her work any longer, Moses’ attention to textiles, pattern and texture is a visual treat! To see more of Moses’ work, you can check out any number of articles written about her in such as this show review in WWD, or follow along for her creative journey on instagram! Mike and I at our kids’ school auction. One of the auction items was to ask 26 artists to create a letter from the alphabet. Of course I chose the W! Made out of our wallcovering, Metaphor! It brought it close to $800! Woohoo! When one of our designers, Catalina, asked to go on a few day journey exploring some traditional Mexican textiles and techniques, it sounded so fun and interesting I asked her to take pictures and report back! 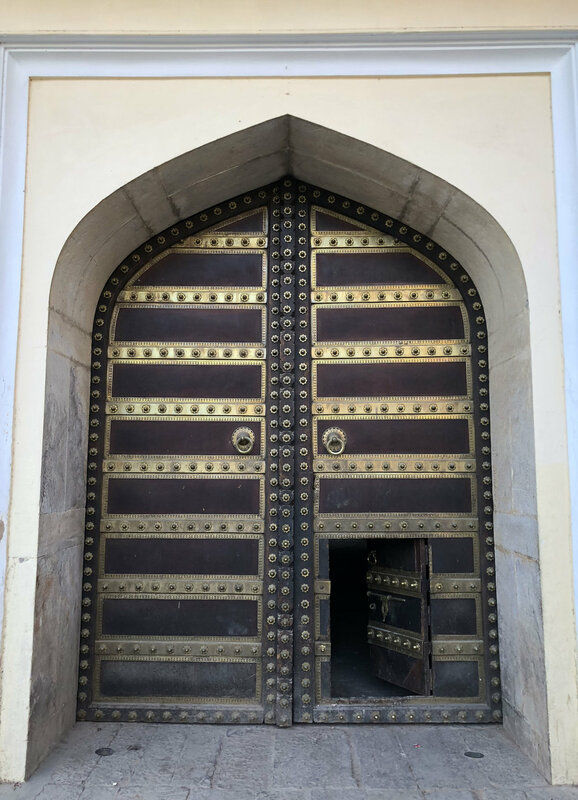 Here is a bit of her trip, what she learned, and the history of textiles in Mexico, specifically Oaxaca, where she was. Oaxaca is a region in southern Mexico, well known for a variety of textile traditions, most notably embroidery, weaving and natural dyeing. Although there are a variety of natural dyes used throughout the world, two heavily used in Oaxaca are Indigo and Cochineal. The Prickly Pear Cactus above is providing a home to the Cochineal insects - the white mounds on the leaves are a sign of the insect colonies! Cochineal and Indigo were the two more valuable natural dyestuffs for centuries. Indigo is the only naturally occurring blue dye, and Cochineal is responsible for a vibrant range of reds to pinks. Historically Indigo was combined with Cochineal to create produce purple; the color reserved for royalty throughout human history. Indigo is a mysterious and complicated process. Indigo is extracted from the leaves of the Indigo plant, and in the case of the Indigo dyers in Oaxaca, their Indigo is now supplied already in the extracted form. However, traditional Indigo is harvested, fermented for 300 days, and incorporated to a vat with a mixture of alkaline liquids. I cannot imagine how the first person discovered Indigo! If you do not ferment the plant, or if you mix it directly with water, you will not get Indigo’s signature shade of blue. Above Catalina agitates an Indigo dyebath, and below is a shot of the prep for the wool yarn before dyeing alongside the Indigo vat. Wool is a traditional material for weaving in this part of Mexico. Bright, geometric patterns are woven in the different hues of blue and red to create the rugs and woolen garments the region is known for. A freshly dressed floor loom alongside the Cochineal and Indigo dyed wool. The carmine Cochineal dye comes from the female Cochineal insect. The insects live on the leaves of the prickly pear cactus, are harvested by brushing off, dried and then ground to create the red pigment seen below. The picture below depicts the range of hues and shades that can be dyed using Cochineal on wool. Below a traditional woven wool tapestry, using the Cochineal shades in the densely woven weft on a natural undyed wool warp. Although smaller goods are woven on backstrap looms - portable looms worn by the weaver - these larger tapestry rugs are woven on larger scale floor looms. Although we work in interiors, and therefore are always drawn primarily to interior textiles, Oaxaca has a great variety of wonderful and colorful traditional dress. 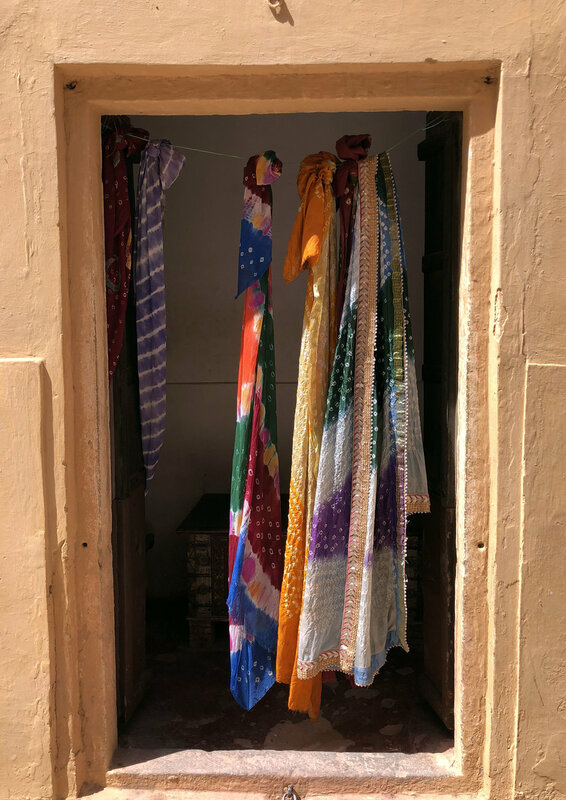 I’ve included some images from Oaxaca; Stories in Cloth by Eric Mindling to give an idea. 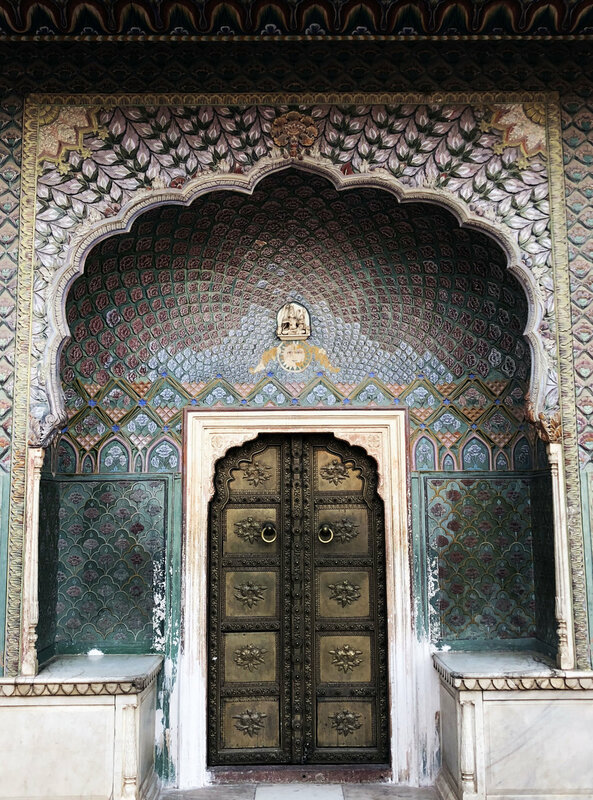 Of course, the images from this book are absolutely stunning. But, the book delves into the unspoken communication of textiles, clothing, colors and appearance. It’s a fascinating - and beautiful - read! The color combinations are so bright, but somehow feel perfect for these clothes. Can you imagine a green and hot pink dress? Me neither, but the woman above looks fantastic! 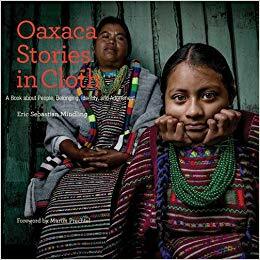 If you’re curious to learn a bit more about the Oaxaca region, dress and amazing textile history, you can purchase Oaxaca; Stories in Cloth here. Lunch with my new partner Pamela Abdula at Soho House NY. Stay tuned for an announcement on a new initiative that will change the consciousness of how we all work! Hollie Heller is a mixed media and collage artist based in New York City and Costa Rica. I am such a fan of Heller’s colorful, whimsical compositions - and in awe of her ability to work in a variety of mediums to bring her pieces to life. By far the most minimal of Heller’s works, these two color, graphic line drawings on vintage bingo cards are playful and spontaneous. Heller’s collage pieces here play with opacity, texture, color an pattern. They are reminiscent of stained glass windows to me . 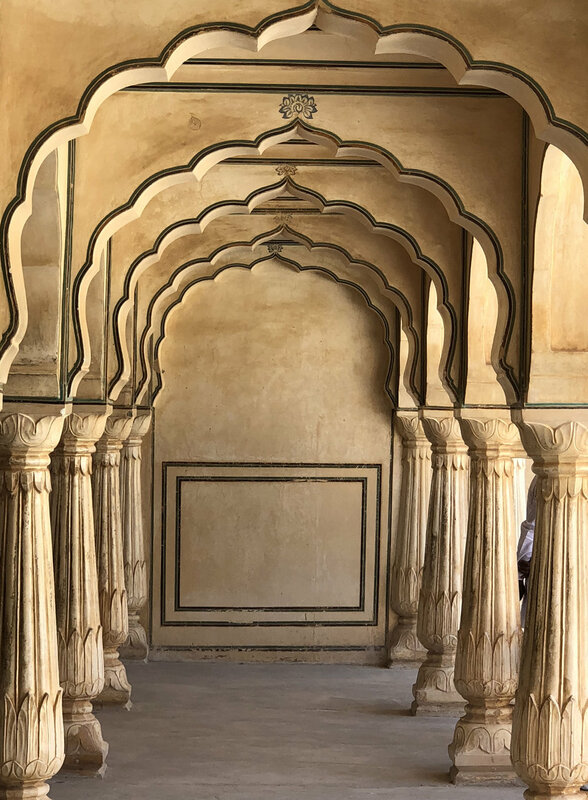 Something about the linear structure and repetition is so soothing and satisfying! However, some of my favorite work by Heller are her Silk Collages. Heller stiffens the vibrant dyed silks and layers them onto each other to create compositions that play with the transparency of the material, and create new colors and textures with each subsequent layer added. The printed motifs are inspired by Heller’s home and studio in Costa Rica and some of the nature she experiences while there. Heller also works on multi media installations, where the two dimensional works on paper are combined with more three dimensional vessels and form studies to create an environment of the artists’ imagination. This images above and below show snap shots and details from Heller’s piece Art Wave for the Tamarindo Art Wave Festival, Tamarindo Costa Rica June 2016. The vibrancy of those ceramic sculptures is incredible! The hot pink is a particular favorite. Interestingly, this detail shot above is of the same piece, but with different colors and combinations the tone is much more sober; the colors more earth tones than out loud. Above, a wall from Heller’s installation, Destined is on display at Allmost Studio and Gallery, LA. This piece feels like heirlooms, colorful and childlike next to faded and worn. The last series of Heller’s to really grab my attention is called Dimensional Chroma, made from the full color spectrum of polymer clay. The combination of the simple vessels and the unexpected color pairings make this piece impossible to resist. The artists’ fingerprints are evident, the hand of the maker a constant. To see more of Hollie Heller’s work, check out her website, here. Michael Cohen, Roger Thomas., myself and Timothy Corrigan. Dear friends and colleagues in Paris! Emily Blincoe is a Nashville TN and Austin TX based photographer with a knack for beautiful order. Blincoe has worked for a variety of commercial clients, but her composed ‘Arrangements’ are one of her most popular projects and incredibly satisfying studies of color, form and repetition. There is something impossible to resist about the collections that Blincoe showcases in Arrangements. The order celebrates the difference in naturally occurring plants, fruits and vegetables (such as the photo below), or shines a light on different occupations (as with the Barber series above). The attention to both the negative space as well as the individual elements is important to all of Blincoe’s compositions. There is something about the image above - I think of it almost like creating a pattern or a surface design painting out of plants and flowers! When Blincoe highlights the natural variety of her materials, the work feel reminiscent to me of Andy Warhol’s land sculpture - meticulous collections of leaves, twigs and pebbles. One of Blincoe’s first series of Arrangements was the Sugar Series. 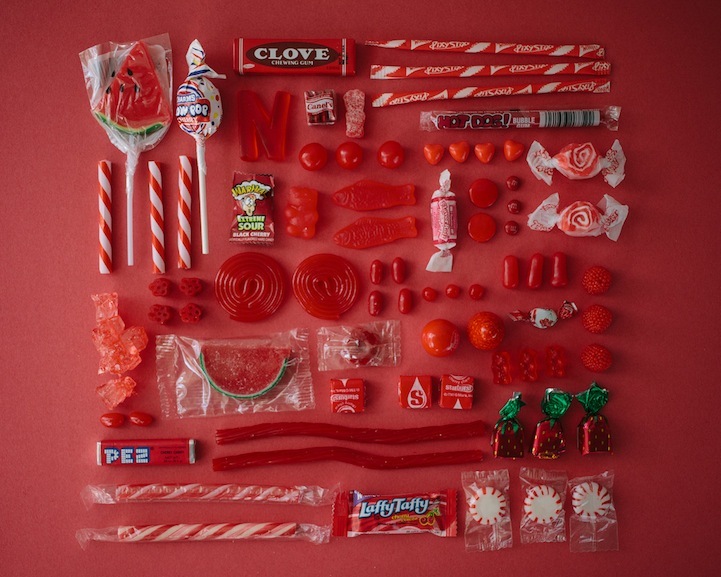 Perfectly aligned gummy candies, lollipops, wrappers and PEZ dispensers on color coordinated backgrounds. While some have sworn off sugar in the New Year, these bright compositions can satisfy any sugar cravings! I really enjoyed a lovely Christmas holiday in the UK with my family! Jewelry; The Body Transformed and Our New Jewelry Line! Jewelry; The Body Transformed is comprised of 230 objects, dating from 12,000 BC up to modern day. 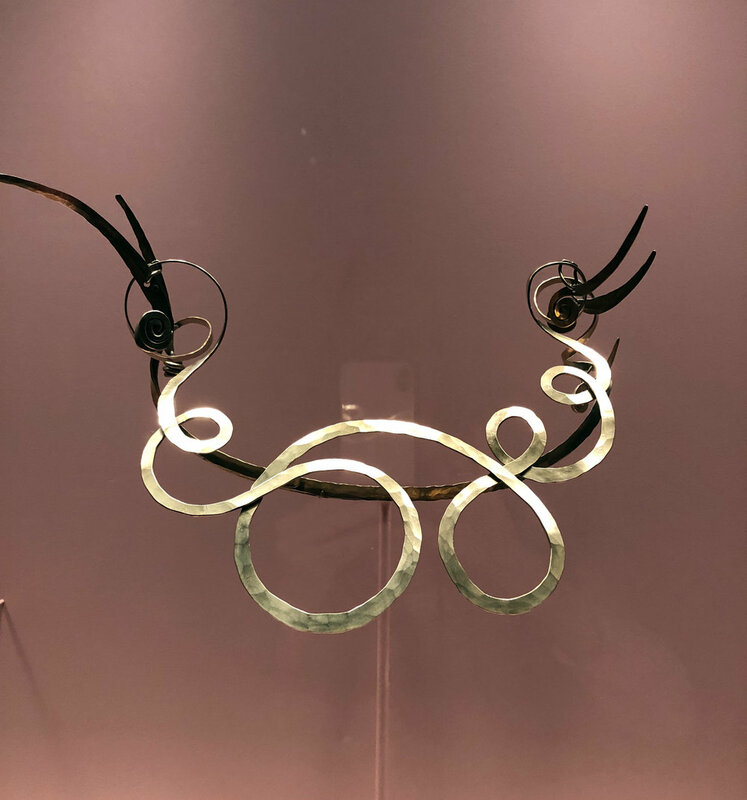 Focusing heavily on ornate beadwork, and functional items (such as the sandals below), this show recontextualizes what jewelry historically has been, and what it can be today. Of course, there are some simply lovely examples of gemstones, and complicated settings as one would see most notably for European royalty. A personal favorite of mine, this wonderfully beaded large neckpiece (below) is a striking example of such a beautiful technique with so much important history behind it. You can just picture these pieces being worn by their original owners and the different time periods and regions of the world they would’ve called home. It’s such an interesting way to think about history! It’s fun to see the different shapes that are used (and repeated) throughout these items that range so dramatically in time period and location. I always love going to The Met, it’s an iconic way to spend a New York weekend afternoon for good reason. But this show in particular felt serendipitous as I recently fulfilled a long time dream of mine to start my own jewelry collection. As a textile designer, I can’t help but look at things from a textile centric perspective. A while ago I started to daydream about incorporating the amazing hand techniques we oftentimes use in our textile design into jewelry - and it seemed like a beautiful and natural fit. Delicate beadwork, the texture of a luxurious silk, the technology of laser cut design all incorporated to wearable art. A few of the bracelets from the collection laid out for perusing - to see them all, link here! After many, many months of hard work by my whole team, designing, editing, troubleshooting, and colorwork, it has been so fun and rewarding to bring these pieces into the world! I am wearing Kali earrings in Mica, and the Cora choker. We were absolutely blown away by the response at our launch party earlier this month. It was incredible to see how different people embodied the pieces and how they morphed and changed a bit with everyone’s own unique style! Click here to see and shop my new jewelry line! I honestly cannot express how much fun this project has been, and how excited I am to have it our in the world and ready to be worn by all of you! We had so much fun working on this project, from each piece - like the Helen bracelet here - to the branding and packaging! Thank you to Scott Jones for the beautiful pop-up photos! 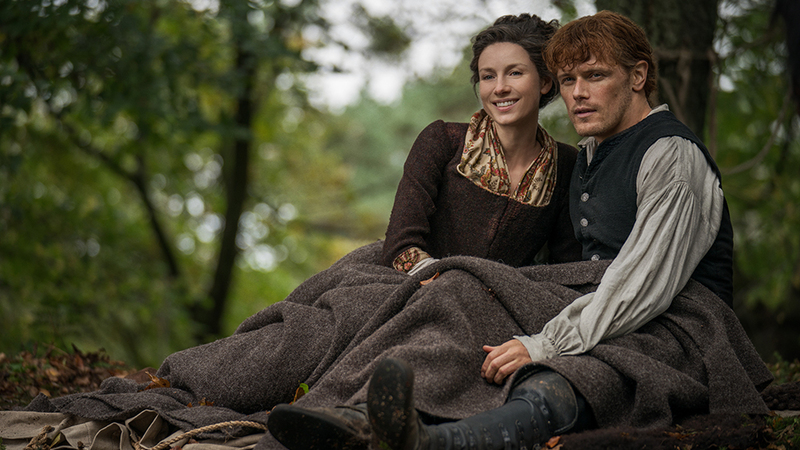 As the days are getting shorter, I find myself cozying up more and more to watch a show or film - Outlander is a personal favorite! Is El Anatsui’s art sculpture that is inspired by textiles, or are they textiles made from metal? The definition can feel a bit tricky. Any way you look at it, Anatsui’s large scale installations are breath-taking. Born in 1944 in Ghana, his body of work is far ranging and prolific. 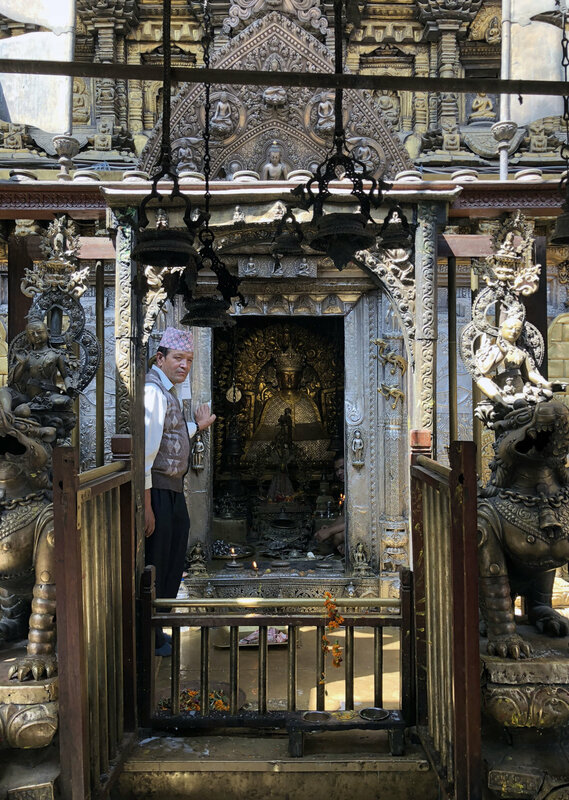 With numerous gallery and museum shows that span decades, the allure of these imposing, shimmering sculptures is undeniable. Years ago I remember walking through the Met, and turning the corner to see Anatsui’s Between Earth and Heaven - it is enough to stop you in your tracks! And upon closer inspection, the detail, care and consideration that goes into every individual piece is absolutely incredible! Oftentimes working in metal, ceramic and wood, there is a clear relationship between his wall pieces and a piece of traditional Kente cloth. His works are dense, delicate, patterned and brightly colored - color field paintings made out of metal. There is something very appealing about the malleable quality of his work. Each piece is intentionally free flowing, and can be installed differently depending on the space. Anatsui is perhaps best known for his work in discarded aluminum bottle caps. There is something so striking about this work - the transformation of bottle caps “woven” and “stitched” with fine copper wire. In incorporating these cast off materials the work talks about waste, human consumption and beauty. Me with the GENIUS Marc Thee of Marc Michaels! Last month we wrote a blog about New York Textile Month, with a few featured events of the many going on in the city. 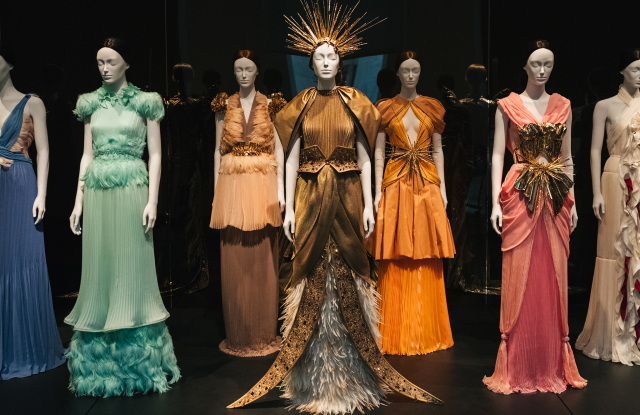 We would be remiss not to include - in detail - the Met’s exhibition, Heavenly Bodies: Fashion and the Catholic Imagination. Every year we wait in our studio to see what wonderful show the Costume Institute will design, and this year they really outdid themselves! Heavenly Bodies is a record - breaking exhibition (more than 1.5 million visitors to date) looking at the relationship between art, fashion, Catholicism and religious iconography. It’s an absolutely stunning show. If that wasn’t enough the show is a bit unusual because it is split between the Met’s Upper East Side location and in New York City’s famed Cloisters - which are worth a visit on their own! A couple weeks ago I ventured uptown to see the exhibit at the Cloisters location, and these costumes in the setting (and lighting) of the buildings is truly magical. They feel both perfectly at home in the setting while simultaneously highlighting the subtle detailing and craftsmanship on each piece which feels very modern and current. 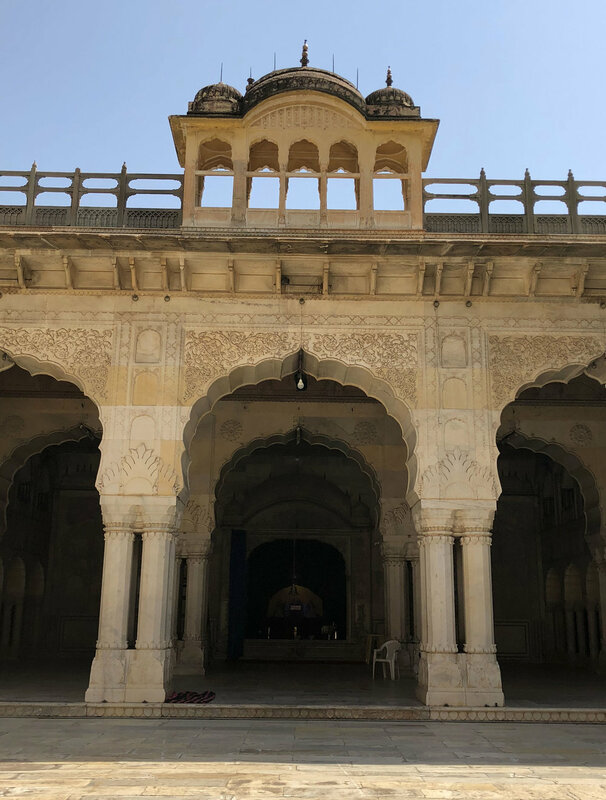 The grandiose scale and over - the - tops details on most of these pieces is incredible to see, but I was also struck by some of the quieter moments - like this pair of headpieces above. 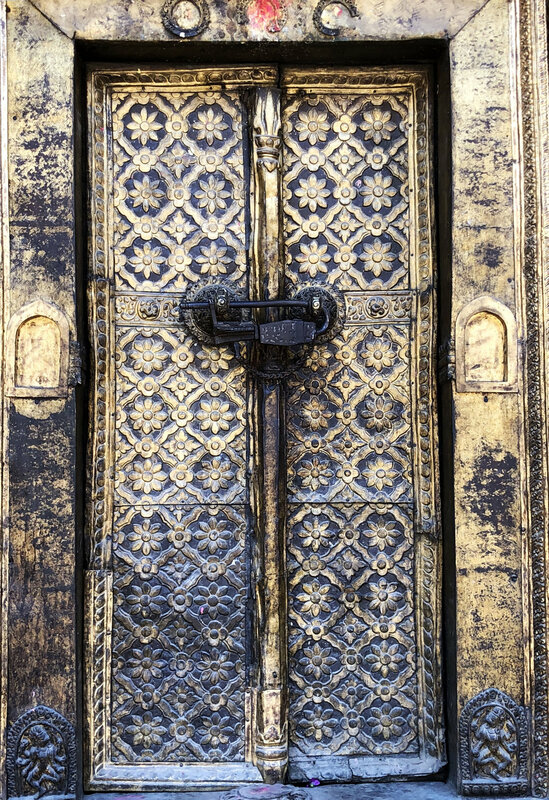 Simple, beautiful, structural and very reminiscent of a specific place and time in fashion history. For more detailed information, check out the Met’s website! fall soccer for the girls is in full swing! September is New York Textile Month - NYTM. Legendary trend forecaster and current Dean of Hybrid Studies at The New School, Lidewij Edelkoort start NYTM three years ago assisted by Wilem Schenk. NYTM incorporates a variety of talks, exhibition and open studios all around New York City - including ours on September 22nd! Our event will be held in our studio - our “white box sanctuary” in Chelsea. We’ll do a behind-the-scenes where you can learn about the creative process behind the Weitzner brand textiles and wallcoverings, along with a selection of our other projects! In addition, get a first look at my latest venture-a jewelry collection launching in November. Unique beaded and embroidered pieces rooted in age-old artisan techniques- made for the modern woman. Link to RSVP to our NYTM open studio event here! NYTM is such an inspiring and exciting event, it’s a wonderful way to bring together this powerful creative community - we are thrilled to be included! There are so many interesting programs as part of NYTM. I have a few in particular that I am especially interested in - I never want to miss an opportunity to see Li Edelkoort speak for instance. 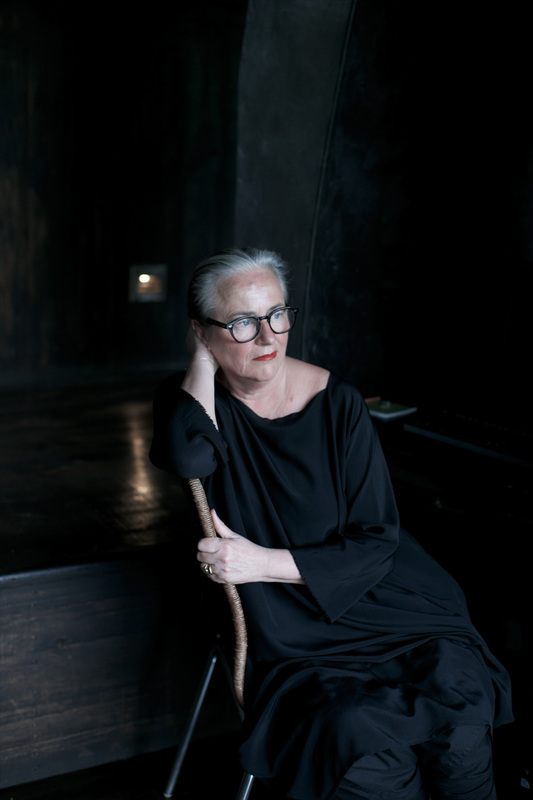 Li Edelkoort has been an important figure in the New York Textile community during her far ranging career. At this year’s NYTM Li is joining Liz Collins and Elissa Auther to discuss Collin’s work and show, Liz Collins - Conduition (LMAKgallery, September 5, 2018 - September 30, 2018) in relation to the vast history and identity of textiles, and textile art. Color Decoded: The Textiles of Richard Landis (September 1, 2018 - September 30, 2018) at the Cooper Hewitt looks like an absolute feast for the eyes. The Cooper Hewitt is celebrating their recent acquisition of six of Landis’ masterful weavings with this exhibition. Sketches, and process materials are included in this show, alongside nineteen of Landis’ textiles. Using double cloth construction, and a very keen sense of color, this show is a textile and color lover’s dream! Speaking of color, the Museum at FIT is hosting Pink: The History of a Punk, Pretty, Powerful Color (September 7, 2018–January 5, 2019). This exhibition aims to explore the emotional and cultural relationship we have to this very specific - and even controversial - color, and features over 80 designs ranging from the 18th century to modern day in this divisive hue. Or if you’re more interested in talks, discussions or workshops - there are many to pick from! One in particular that looks engaging and interesting is Repair and Re-dye: Breathe new life into old textiles through sewing and dyeing on Friday, September 21st. For even more information on NYTM events do yourself a favor and check out their fabulous website! Honored to be one of the Judging IDA Awards for New York Cottages and Garden Magazine! Thank you to Kendell Cronstrom and the rest of the amazing team! Winners announced next month at a gala at the Rainbow Room!